When the debate is centered on the cost of doing what is just, then you know it is irrevocably twisted. In the Spanish Senate, one can now use Catalan in an official capacity. Not to mimize its importance, which is notable even though it's more symbolic than useful, it's pretty frustrating that it is now easier to get someone to understand you in Catalan in the highest Spanish chamber than in many stores, just to give a single example. Meanwhile, the “Spanishists”, led by Mariano Rajoy (PP) and seconded by the Spanishist media, have called into question the agreement because of the additional cost it will suppose. The leader of the PP even went so far as to say that using Catalan in the Senate "does not belong in a normal country". Yowza. But as others have already responded, what is not normal is precisely Spain, given that in countries with similar linguistic situations, like Belgium, Switzerland and Canada, they've been letting people use whatever official language they liked in their legislative chambers for many years without worrying about the cost. But how do those "normal countries" do it? Well, for example in Switzerland, a real federal state, each canton dictates its own linguistic policies without interference. And of course, in the federal Swiss Parliament, you can use any of the four official languages: German, French, Italian, and Romansh. It's been a while since the official Swiss money, the Swiss Franc, has been printed in all four official languages. It's been a while since each canton has used its corresponding language as the language of instruction in their schools, whether it be German, Italian, French, or Romansh. Or take Belgium, where in Flanders school is taught in Flemish and in the Walloon Region, it is taught in French (in addition to the other language being taught as a secondary language). And in the Belgian Parliament one can naturally speak in Flemish or in French without anyone wondering how much it will cost. Because if we're talking about money and normalcy, what is the cost at the European Parliament of having 23 official languages, where every speech in a session by a European MP may be made in any one of these languages, while there are 22 teams of translators simultaneously converting that speech into the other 22 languages? And the cost of having to translate all of the documents generated by the European Union into 23 official languages? 23 languages that, one should add, are limited by state, creating cases as absurd as Maltese, with only 330,000 speakers and which is official, and Catalan, which with 11.5 million speakers (according to Ethnologue in 2009) is not. Would Spain be disposed to renounce that its European Parliament members participate in Spanish in order to reduce costs? No answer is needed, it's so obvious that they would not. Why don't they do everything in English at the European Parliament? Wouldn't it be more practical and wouldn't it reduce translation costs considerably? Or even just English, German, and French, the three majority languages? But which states in the EU would accept that their language be the one neglected one for the "good" that such a savings would suppose? Would Italy accept such a thing? Spain? Portugal? Poland? The Czech Republic? That out of certain newspapers and certain Spanishist sectors the "quid" of the debate is the cost of the translations and not if it is "fair" to be able to speak in any official language in the legislative chambers indicates to what point the argument is ideologically perverted. A cost that by the way is 11,950 euros each week, which was not added to the cost of the Senate, but rather was obtained after distributing the total yearly budget of the Spanish high chamber. The debate is then the cost or whether something is fair? Because if the debate is the cost, then we could get rid of the whole Senate and then we'd sure save a bunch! And the Congress. On a demagogic roll, we could get rid of the health care system and public transportation and we'd save a bundle more. But now, what would be fair? Is it fair that the Head of State in Spain is a monarch, and that the Royal Family in Spain has a yearly budget of nearly 9 million euros? Not to mention that if the Spanish state became a republic instead of a monarchy, the cost of electing a Head of State and all of the cost associated with a President of the Repubic would probably be higher than that of the current Royal Family. Would that mean that it would be preferable having a monarchy over a republic because "it would cost less"? Obviously, no. Well, then, what are we talking about? Spain is going broke over 12,000 euros a week? The economic crisis takes the blame for being able to speak in Catalan in the Senate? 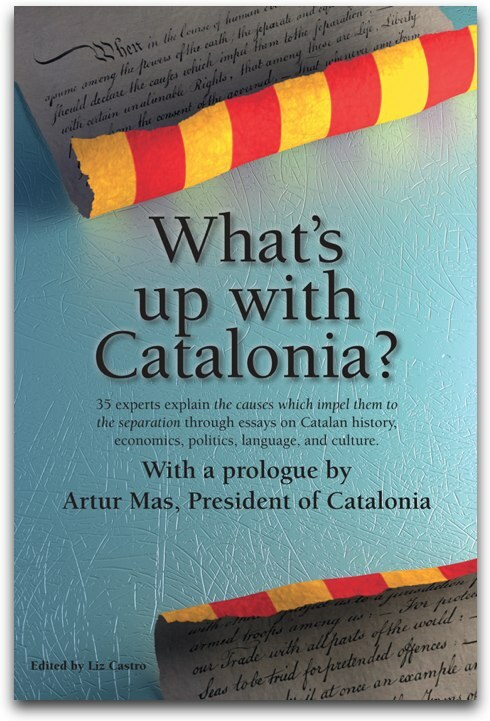 Look, actually, Catalonia could perfectly well take on that budget item of 144,000 euros per year if, in exchange, the fiscal deficit [difference between taxes paid to Spain and services rendered in Catalonia], disappeared. 22,000 million euros. 22,000,000,000 euros in exchange for taking on the 144,000 that it would cost to translate the Senate speeches into the 3 official languages. Just to be clear, if Catalonia didn't lose those 22,000 million euros each year due to the fiscal deficit, it could pay those 144,000 euros 152,777 times a year. And meanwhile, that guy is saying speaking Catalan "isn't normal". What's not normal, sir, is Spain. I think that European Parlament should use just English, Spanish Senate just Spanish, and Catalan Parlament just catalan. Call me naïve, but for me Simplicity lies above any kind of nationalism.